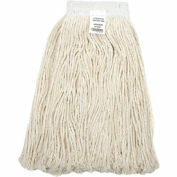 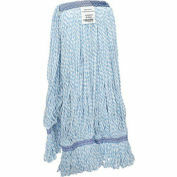 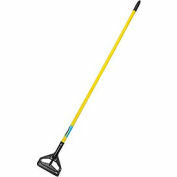 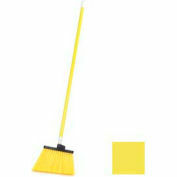 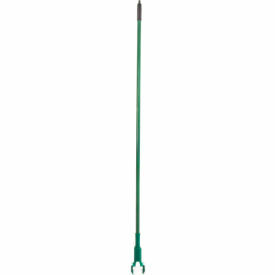 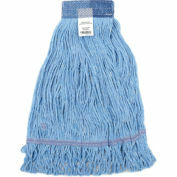 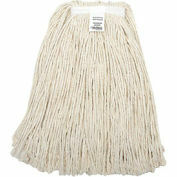 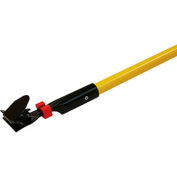 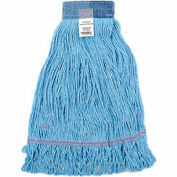 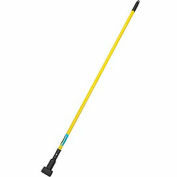 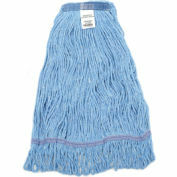 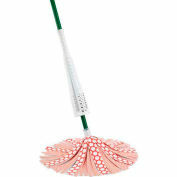 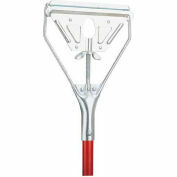 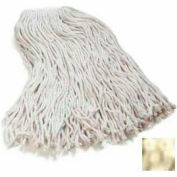 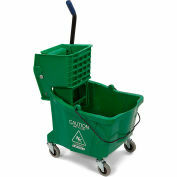 Durable fiberglass handle with easy to use jaw-style mop gripper. 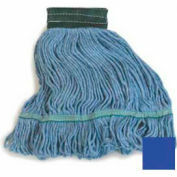 Designed to be used with wide-band mesh headbands. 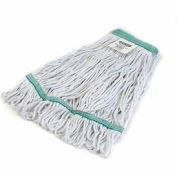 "Bites" into mop for a secure hold and precision handling.